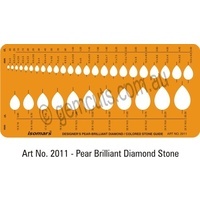 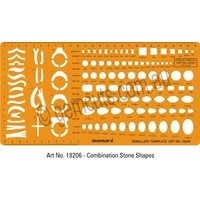 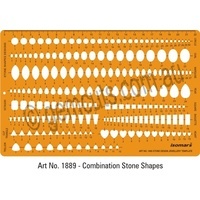 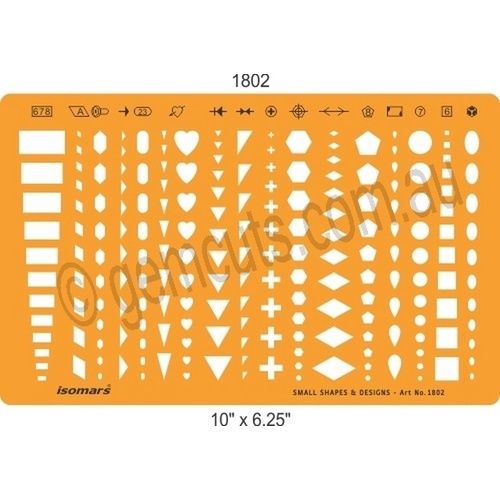 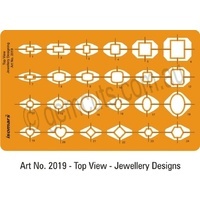 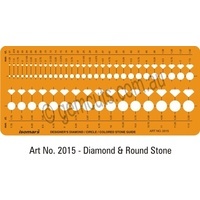 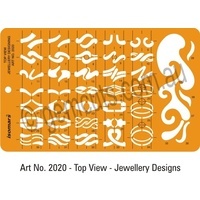 174 various size templates of in small oval, triangle, heart, square, rectangle etc. 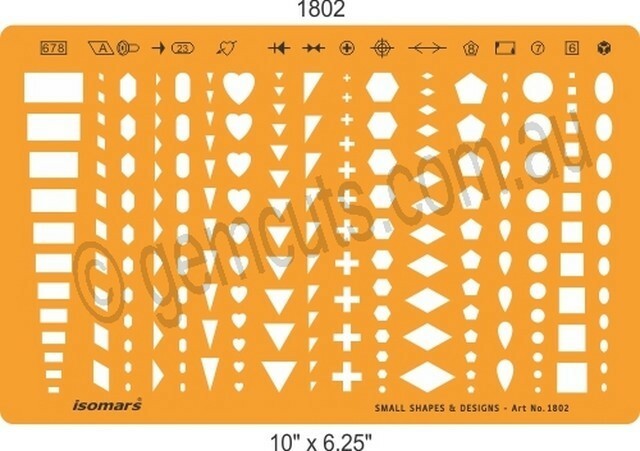 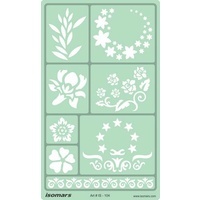 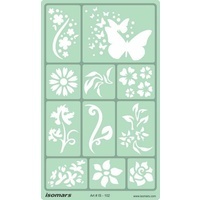 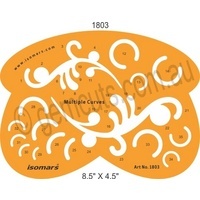 Isomars Templates contain precision-milled shapes and provide complete accuracy and symmetry. 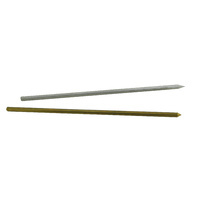 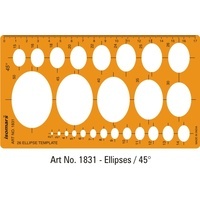 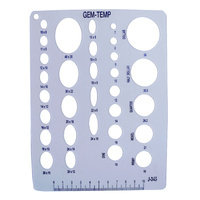 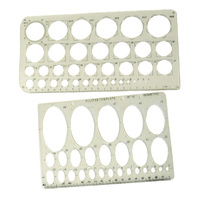 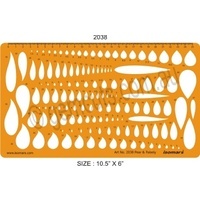 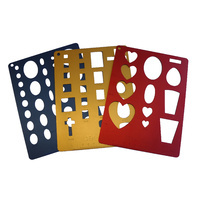 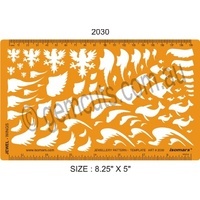 The templates eliminate the time consuming job of drawing outlines with rulers and dividers.